Two of Cumberland’s citizens build a legacy of music from behind the stage. It was a moment that I knew I would cherish long after the crowd departed. I stood in Village Park during The Big Time Out music festival, with Robbie Shakespeare’s impossibly fat bass pleasantly rumbling through my entire body. I never thought I would see the legendary Sly and Robbie in Cumberland. To witness reggae’s most notable rhythm section in a town of only 4,000 people is surreal. Yet musical excellence is not rare in Dodge City and we have Cumberland Village Works to thank for it. Originally from Cornwall, Ontario, Vig Schulman moved to Cumberland after living in New York and Australia. As a music presenter and aficionado he was driven to make the leap from putting on small shows on Denman Island to large, ticketed events in the Comox Valley. When preparing to present global sensations Michael Franti and Spearhead in Cumberland, he had to organize capital, infrastructure, and a dedicated crew of staff. The successful endeavor was the pivotal production for Cumberland Village Works (CVW) of which Schulman is the founder. He has since developed a relationship with the community that would make large, urban production companies envious. In a rapidly expanding town, the demand for sophisticated entertainment has grown in a village that can no longer be described as quaint. CVW’s answer is to build a fully-realized production company capable of presenting world-class events. Schulman and partner Melissa Roeske believe in a hands-on approach to success. He often mixes sound while she handles the door. They both deal with promotion and work hard to maintain solid community relationships. If you’ve ever been in the Waverley Hotel when bands like No Means No or Current Swell cause the entire bar to undulate frenetically with their off the dial, energetic performances, you’ve seen the benefits of Schulman and Roeske’s work first hand. 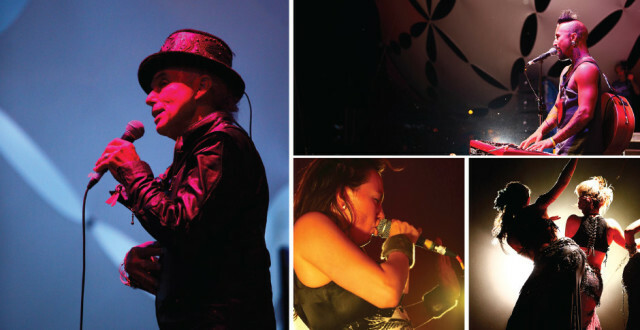 CVW has been instrumental in establishing The Waverley as one of BC’s most notable music venues. Atmosphere Gathering is CVW’s latest co-production. 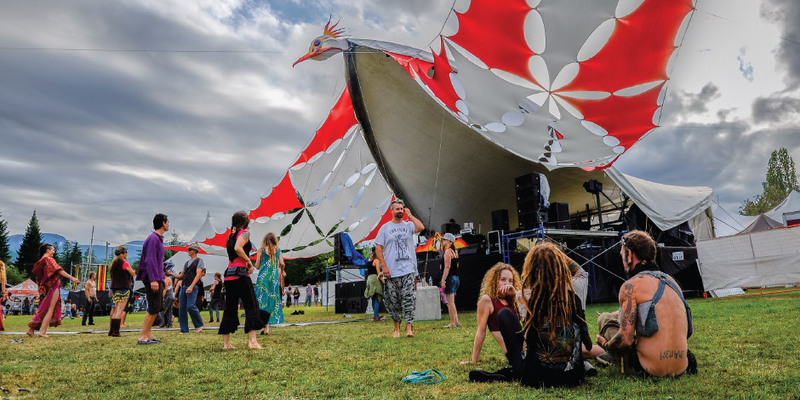 With its massive circus tent, live and electronic music, vibe, and a beautifully realized, immersive artistic vision, it’s become one of the region’s most talked about and anticipated events. Arts and music are key lifestyle priorities in the Comox Valley, and Schulman and Roeske have whole-heartedly responded. Schulman’s initial aim with CVW was to “take a chance to bring something fresh to the Comox Valley”. Locals have been cheering their appreciation ever since.